Wrap up your dinner solution with easy slow cooker taco-style turkey sandwiches. 1. In a large non-stick frying pan, cook the bacon over medium heat for 5 minutes, stirring occasionally, until almost crisp. Add the turkey and continue to cook for 5 minutes, stirring occasionally, until turkey is brown on all sides. 2. Mist a slow cooker with cooking spray and add the turkey mixture. Top with the barbecue sauce and taco seasoning mix then stir to combine. Cover with a lid and cook on low heat setting for 5 to 6 hours. 3. Remove the turkey from the cooker and place onto a chopping board. Use 2 forks to shred the turkey then return the turkey to the cooker and mix together with the bacon and sauce. 4. 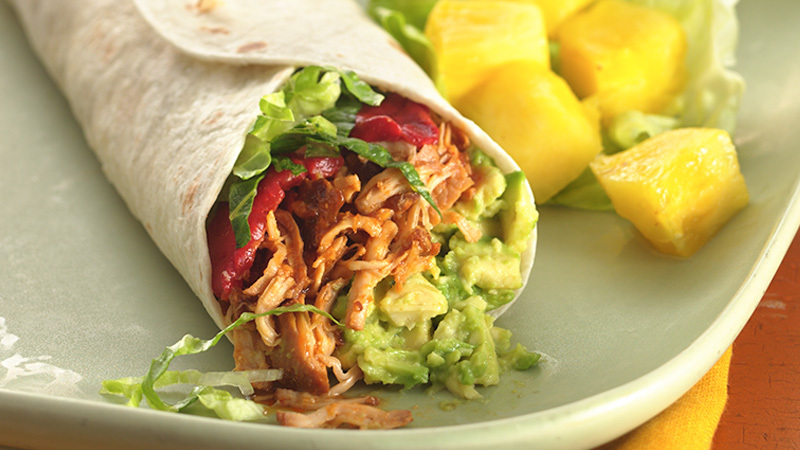 Spoon the avocado, lettuce, turkey mixture and peppers onto the tortillas and roll up to serve. 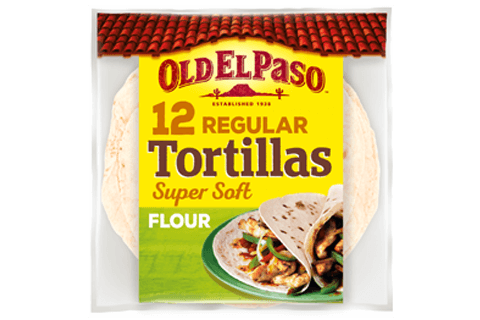 To warm tortillas, wrap them in foil and heat in the oven at 170 ºC (150 ºC for fan assisted ovens), gas mark 3 for 7 minutes. Or wrap them in greaseproof paper, place into the microwave and cook on High for 45 to 60 seconds.